Alistair Rennie opened Lotusphere (#ls11) – after saying "I love the smell of Lotusphere in the morning" – by introducing the 500 college students invited by GBS. He talked about the Notes customer General Motors and the Chevy Volt electrical car they brought to Lotusphere, and how it contains more code than an F-35 fighter. Then he introduced this years guest speaker, Kevin Spacey. Kevin Spacey is not just a film actor, but also the producer behind last year’s movie "The Social Network". He was speaking about how he, after he decided to change career, started a social network for independent film makers called Triggerstreet back in 2001. Then he talked about Facebook and how the movie came to be. Now Alistair is back in stage and talk about how the important thing to IBM and Lotus is the success of the customers. "Everything is just hot air" he said. IBM just completed their yearly Chief Human Resource Officer study, which shows that social networking and business is very important to grow and evaluate businesses. Alistair Rennie think that social networking is the fifth step in evolution of computing, after mainframes, departmental computing, PCs and the Internet. It makes the business nimble and fast. The companies embracing social networking are also more successful, according to Alistair Rennie. Those companies are also more connected through mobile devices and the cloud. "It’s about the people, stupid"
Social business have to be built on open standards (OpenSocial, HTML5, etc) as well as work like the internet, use resources and services not only inside the company but also public resources. Alistair Rennie promise that we later this morning will see the next versions of Lotus Notes, Sametime, Connections, LotusLive and Portal. "Rethinking the outcome in the face of social business. Get Social. Do Business"
Now Jim Balsillie, Co-CEO of RIM on the stage, showing the RIM PlayBook. As @vowe said on twitter, "first OGS with a commercial break". Going mobile is just one of the ways social businesses will succeeded Rennie says. Now Jeff Schick from IBM is on stage, introducing representatives/executives from BASF, KBC Bank, CSC and AT&T for a on-stage panel. Message: "going social is a way to get good employees and keep them, as well as building value." Now Sandy Carter, VP of Sales (Worldwide) is on stage. Talking about how she is an "evangelist" at IBM, and how important she (and IBM) sees social business and how they "walk the walk". The internal network, w3.ibm, is very important to IBM employees. For every 1% increase in retention, the IBM software division saves 50 million dollar. Sandy talks about how companies that outperform their competitors are 57% more likely to use social networking. Finally the demos started. Ron Sebastian, who traditionally was doing the demos, had passed the torch to Brian Cheng, a young IBMer who won the hearts of the audience with his enthusiastic presentation. Brian showed the next versions of Notes, Sametime and Quickr, all featuring the activity stream that originated with Project Vulcan that was introduced at Lotusphere 2010. The generic impression was "too little products", it took over an hour and a half until it was demo time. All the customer panels bored the audience, at least everyone I talked to. I found the demos good. They showed the result of Project Vulcan, and I think IBM is on the right way. The activity stream is the way to go. I hope to get to llok closer at it in the next few days. Stay tuned for more info from Lotusphere 2011. So here it is day 1 of Lotusphere (for us), and as I´m scheming and starving, I´m reading his Twitter updates of Kobe burgers and beer ?as well as imagining all the other goodies and alcohol he´s ingesting. Sigh. So after work we head over to dinner. I didn´t realize that all of Lotusphere would be joining us via B.B.T.FB.C. [BlackBerry Twitter Facebook Conference]. Our chat at dinner included his packing list (for the n^x time), and every update for every person that checked-in through Twitter/Facebook/blogs/whispered into the ether”…”. My Beloved went name by name, explained who they were, and what they were doing. It was like some convoluted, extended family tree gossip session. I had dinner with some very important people last night (“…”and apparently most of them were very thirsty.. hm..). Dinner is finished and we make it back home. We´re doing the packing thing ?making sure he has everything, folding the last minute items ?you know the drill. So I´m working on a shirt of his when I say to him, "Hey Hon, when you get to Orlando, please let me know you landed safely." Without missing a beat, he actually said, "Just follow me on Twitter." "”…”er, OF COURSE I´ll text you!" …exactly one year after the Challenger disaster, I had a more personal loss. My mother, Marie-Luise Martinsson (born Groeling) suddenly and unexpectedly died, just a few weeks short of her 61st birthday. She was born in 1926 in Lauenburg in what was then Pommern. Since the end of WWII the town is called Lbork and belonging to Poland. My mom was just 19 years old when the war ended. The picture to the right was taken aroudn that time, probably in 1944. She lost her only brother (who I am named after)in the war (he was a glider pilot)as well asthe oldest of her two younger sisters due to diphtheria the year after. 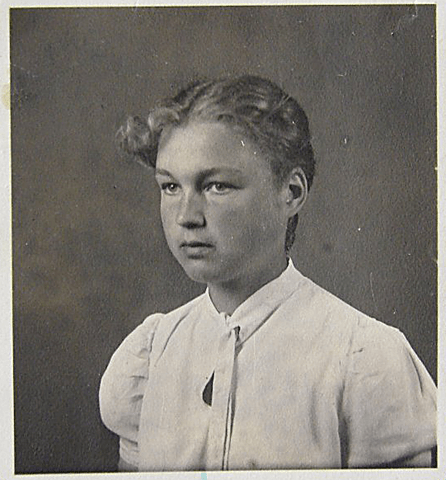 Her father had become a POW and was imprisoned by the Russians, but was eventually released a few years after the end of the war. My grandparents settled in Stralsund in the then DDR. Not until they retired were they allowed to move to the west, where my aunt lived. My mom was on the run for a couple of months, escaping the Russian troops pushing west through Germany, and she eventually ended up in Bremen. She later moved to the Hamburg area, where she worked for a few years. In the 1950’s (I think 1952) she moved to Sweden to work as a nanny for a Swedish Air Force Colonel, and she ended up staying. In 1967 she met my father and they got married. My mom was a great cook. She had been schooled in cooking during her late teens, and she could cook all kind of dishes. She was also great at baking. We often had fresh home-baked bread growing up, and both me and my sister to this day enjoy cooking and baking. I have to admit that my sister is better than I am, but I consider myself a decent cook. She was strict but loving to me and my sister. Perhaps it was her German upbringing, or just due to the fact she belonged to an older generation (she turned 43 the week after I was born), but I am very grateful that she instilled some discipline in me. She was also very adamant about acting like a gentleman, opening doors for people, treating women well, etc. All those things have been beneficial to me later in life. She was not too happy about me spending so much time in the computer room in school, instead of coming home to do homework. But I am sure she knew I would eventually work with computers or something similar. I just wish she would have been able to see me succeed in life, and to see my son Erik being born. My mom stayed home until both me and my sister were in school. Then she worked nights at a local hospital for a while. 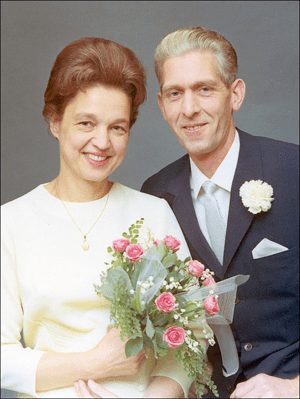 The last few years of her life she worked for the German Parish in Stockholm. Her funeral was held in the German Church in Stockholm’s Old Town. Thank you for everything, mom. You made me into what I am today. He decides to volunteer me(? ), uh, tell me(? ), ?- I was ?olun-told´ that I should run to the store after work for one of his Lotusphere projects. "Honey, why do *I* need to go there," I asked. Logical Beloved programmer says, "Because you´re in that area and daycare is across the street." Now, while I am a logical sort, geek and programmer too, I´m still a girl”…” And I think I´ve been *super* cool about this Lotusphere cult/revival thing, the Dolphin Hotel elevator noises in bed, and even about the talking alcoholic IBM turtle. . "Ummm”…” No, try again." I´m a good girlfriend so ill give him another chance. "You´re sweet and kind and nice to me?" He blubs. Do I let him off easy? Do I? DO I? Get this -the man spent all night adjusting a QR code to ensure it was *perfect*. While I have no issue with that, I was somehow dragged into this pentacostal glossolalia ?through his chirping utterances about a Harry Potter theme park, the sound of the elevator at some place called "The Dolphin," and something about a very brilliant turtle. Confusion abounds, but this must be a very advanced cult to have a talking turtle. Yea, I thought about what you´re thinking about too. We started kissing and cuddling. He´s smiling and he´s happy. I think the hyper-frenzy is over and I might get my Lotus Geek back to his normal geekiness. So he´s holding me, stroking my hair and suddenly, he breaks the silence by saying, "I´m walking through the lobby”…” Ding.. Going up”…” Ding.. Going Down.."
He´s visualizing walking through the hotel and riding the elevator up and down. Good night, Lotus Geek. You´re one of a kind. [consequently, IBM, you owe me a ticket next year. Last night was rough, but more importantly I really have to check out this talking turtle]. 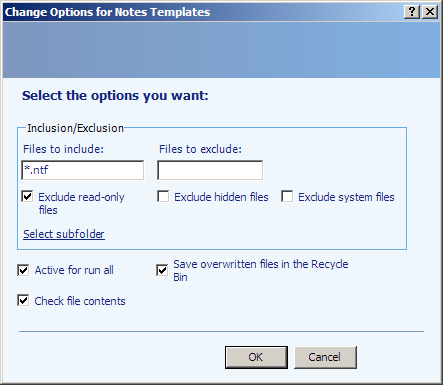 Lotus Notes – Not dead here either! Greyhawk68 just blogged about how Lotus is not dead at his employer. I just have to echo that. As late as yesterday the CIO and I were attending a meeting where the marketing department was discussing a way to track customer visits. The CEO was also there, and after a short discussion within the marketing group, he took command of the discussion. He explained that he in a previous position been creating some simple Notes databases, and that Notes would be the perfect vehicle for the kind of database he envisioned the marketing department needing. There were not much discussions after that, i think everyone realized that the CEO was right and knew what he talked about. There had earlier been discussions about using a off-the-shelf program like Goldmine or ACT!, but the question is if the cost (in time) to customize one of those products is much less than the time spent to develop a tool in Notes perfectly suited for our users. Just like Greyhawk68, we use the best tool for each project, but in surprisingly many cases Notes and Domino is actually the best one. I will be using several social networks while at Lotusphere. I just signed up for Gowalla, but I use Foursquare more. I am of course on twitter and Facebook, and you can message me there. But the easiest way is to mail me at texasswede@gmail.com, directly to my Blackberry. I am arriving Saturday a little after noon, and will be joining BALD at Big River Grille around 15:00. That’s 3.00pm for you Americans, or when Mickey’s big hand point at 12 and his little hand point at 3. :-) I will also be at ESPN late that evening, at a number of JMP sessions on Sunday and of course at the welcome reception Sunday evening. When I know my schedule better, I will post it. As I go as media/blogger, I get my meeting schedule when I arrive, or sometimes not until Sunday. Get the Blackberry Session Database now! Tim and Gabriella of Turtle Partnership have once again built iPhone and Blackberry apps, which in turn are using Ben’s excellent Lotusphere Session Database. The Blackberry app (version 1.6) can be downloaded right now from Tim’s blog post, or later from the Blackberry App World. The iPhone and iPad versions have been submitted to the Apple App Store for approval. New for this version is that you now can check in using FourSquare and tweet your location using twitter directly from the app. Update: I am having problems with the app on my Blackberry (Bold 9700 with OS6). It locks while loading the data (never finishes) and clicking on the day/time selectors just bring up the menu. I am sure it is related to the data not being fully loaded, and hopefully Tim will get it fixed soon. …what Lotus knows. In 164 hours a number of us will be sitting in the OGS at Lotupshere (follow it on twitter as #ls11) and hopefully learn what IBM is planning for the next few years. I hope we will see more of Project Vulcan and Notes/Domino 9, and of course learn about what the plans are for all the other products, like Connections, Quickr and Sametime. …what the hundreds of students brought to Lotusphere by Group and IBM think about the product we all use and (mostly) love. When I showed the power of Notes to a web designer with PHP and SQL knowledge, she was very impressed. …if the wifi connectivity is enough for all the devices brought to the OGS. It is 10 days until wheels up for Lotusphere (#ls11), and I am finishing preparations of the laptop I will bring. After some headaches with dual boot (actually triple boot) between Windows XP and Ubuntu (this is material for a whole other blog entry! ), I now have the operating systems running and most of the software installed. I have a Dropbox account and have the software installed in both places. I created a folder in Dropbox called "Notes Templates". Then I installed Microsoft SyncToy 2.1 and installed it in both places. I set up a folder pair on each system, to copy the files between the Dropbox folder and the Notes Data folder. The settings in SyncToy let filter on extension and file attribute. So I selected to only copy .ntf files. But that would still include all the standard templates, and I don’t need them to take up space in my Dropbox account. So I told SyncToy to exclude read-only files, and I then marked all default templates as read-only on both sides. Now only the 25 templates I need access to are being synchronized. Mission accomplished. I am sure there is a smarter way to do this, but this works for me.